Collecting full compensation for a car wreck isn’t easy, but with the right help, it can be done. Find out how to successfully resolve your claim by working with a South Jordan car accident lawyer. Getting fairly compensated for the injuries and losses suffered in a motor vehicle accident is rarely simple. Even though Utah is a no-fault state for car insurance, it’s entirely possible that your own insurer will try to lowball your claim. It’s also possible that your policy’s limits won’t be enough to cover all of your losses—especially if you’ve suffered a catastrophic injury such as a traumatic brain injury or paralyzing spinal damage. Whether you need help getting the most from your no-fault benefits or with moving beyond the no-fault system and pursuing a personal injury claim, the right legal aid can bring your case to a successful conclusion. 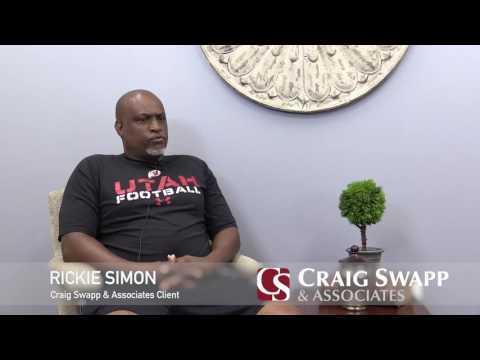 A South Jordan car accident lawyer from Craig Swapp & Associates can ensure that your claim is treated with respect and that you get every penny of compensation you’re due. If your auto wreck claim qualifies for a personal injury lawsuit, it will be necessary to determine who was at fault for causing the collision and how. Utah observes comparative negligence, so each at-fault party will only be responsible for his or her share of the damages. This means that full compensation will require naming everyone responsible in your claim. Whether you’re dealing with your own no-fault insurer or the other driver’s, you can’t expect them to treat you fairly. These are large businesses that value their profits above all else, and you can expect them to put their interests ahead of yours, unfortunately. It’s critical to ensure that your compensation accounts for your future needs and not just your current and past expenses and losses caused by the crash. Likewise, insurers love to “forget” to take into account how your injuries have impacted your quality of life. A true settlement will include everything you’ve been through because of the crash. Financial expenses might include medical bills, lost income, travel costs, vehicle repair, and any other out-of-pocket costs. Non-economic damages, on the other hand, are how your quality of life has diminished because of what you’ve been through. These cover pain and suffering, emotional distress, disfigurement, lost companionship, and lost enjoyment of life. Don’t try to navigate the aftermath of a traffic accident alone. Let Craig Swapp & Associates help you determine what your claim is worth and how best to seek compensation for your injuries and losses. It starts with a free, no-obligation consultation with an experienced South Jordan car accident lawyer. To schedule a time for yours, just call 1-800-404-9000 or complete the form at the bottom of this page.